It’s sometimes hard for a song to live up to the very first version we hear of it (especially if it’s live) but upon the release of Behind the Light, the studio version of “Trigger” more than matched the live version in energy, intensity, expression and execution. One of two truly heavy songs on the album (the other being “Fly”), “Trigger” is also perhaps the darkest of all, mainly because of its lyrics, a story of a mind tormented by terrible pain and memories. These are some of the most vivid lyrics as well, going from a straight narrative in the verses to more obscure, more metaphorical statements in the chorus that defy a strictly literal interpretation. Phillip—who has solo writing credit here—delivers the lyrics with deep, raw emotion, managing to convey a pain that is really beyond imagination. The music, heavy, rich and layered throughout but even more so in the chorus, also very much tells the story along with the lyrics, with delicate guitar, and haunting keys and trumpet that echo the anguish of the words. Musically, the heavy chorus of “Trigger” is also one of the most satisfying in the whole album, offering a release that’s very different from the almost spiritual one we feel in “Fly.” Here, the heaviness is a channel, an expression, of the fear and desperation described in the lyrics. The beauty of the song lies in that, in its ability to constrict our heart with pain, but completely rock our souls too; a merging of seemingly contradictory emotions that’s incredibly effective and powerful. It is also perfectly fitting for the story being told in “Trigger,” for what can be more painful, more earth shattering in its devastation than to be witness–real or imagined–to a dying soul, to the last beats of dying heart? 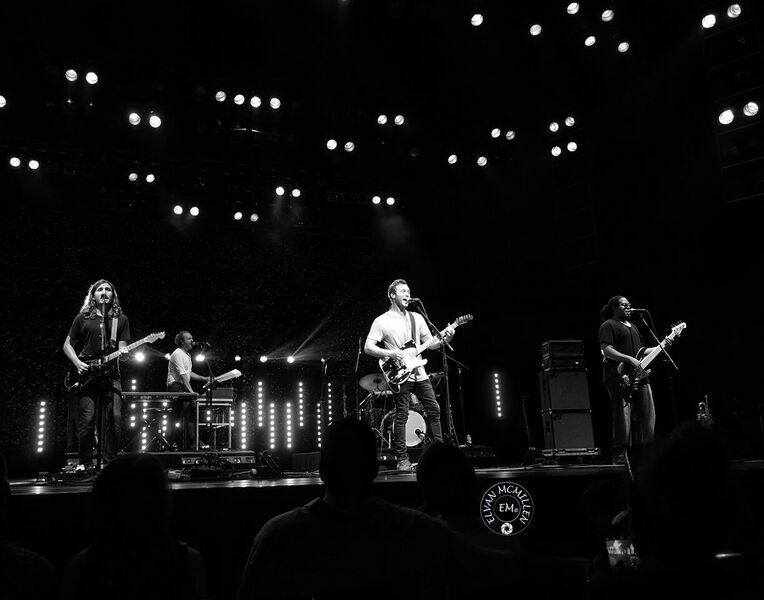 Check out the video of Phillip and band debuting “Trigger” live. And if you haven’t yet done so click here to buy Behind the Light! Last night Phillip Phillips and his band played an incredibly special show in Valdosta, GA.
Georgia is Phillip’s home state and many friends and family attended the show, with some even joining him on stage for certain songs. Phillip’s old band mate, Frederick Williams, also joined the bad on sax for the whole show. But perhaps the most special moment of the night may have been when Phillip debuted a full new song from his upcoming second album, Behind The Light. The song tells a heartbreaking and intense story of love and torment, very much in the dark vein Phillip has been hinting at when talking about the new album. Musically, the song is heavier as well but as performed last night it still had a delicate guitar arrangement and featured great sax parts and a fantastic trumpet solo. The song was followed by an incredible version of “Where We Came From” which they closed with a brand new, heavier jam. Behind the Light comes out May 19th. Check out the new song here! What do you think of “Trigger”? Comment below!